Upgrade your expectations at Triple Creek! Greenville's newest 100% Financing Approved Community. Nestled in a serene landscape, but so close to all of the amenities that you love! Triple Creek is just minutes from I-85, Woodruff Rd, Augusta Rd, Downtown Greenville and Major Employers like GHS, Michelin and BMW! What an incredible home! 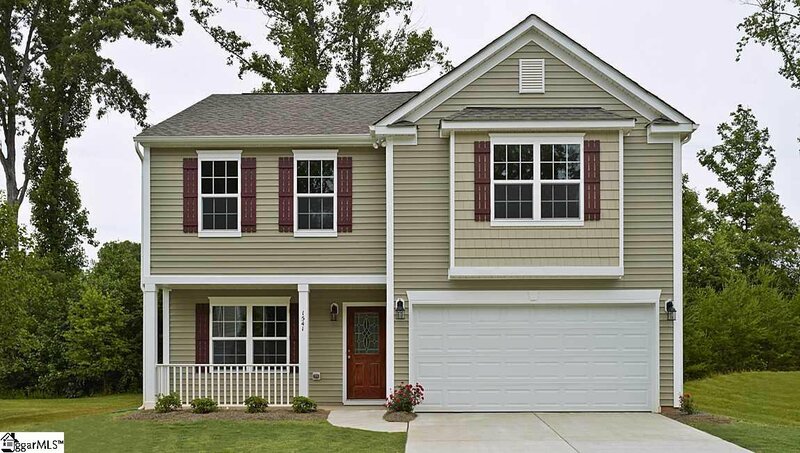 The Pinehurst greets you with a welcoming, covered front porch. Walking into the foyer you will find a large formal dining room which flows into the gourmet kitchen featuring; designer staggered cabinetry, stainless steel appliances and large kitchen island with storage. The kitchen is open to the large family room, which is anchored by a gorgeous gas fireplace! 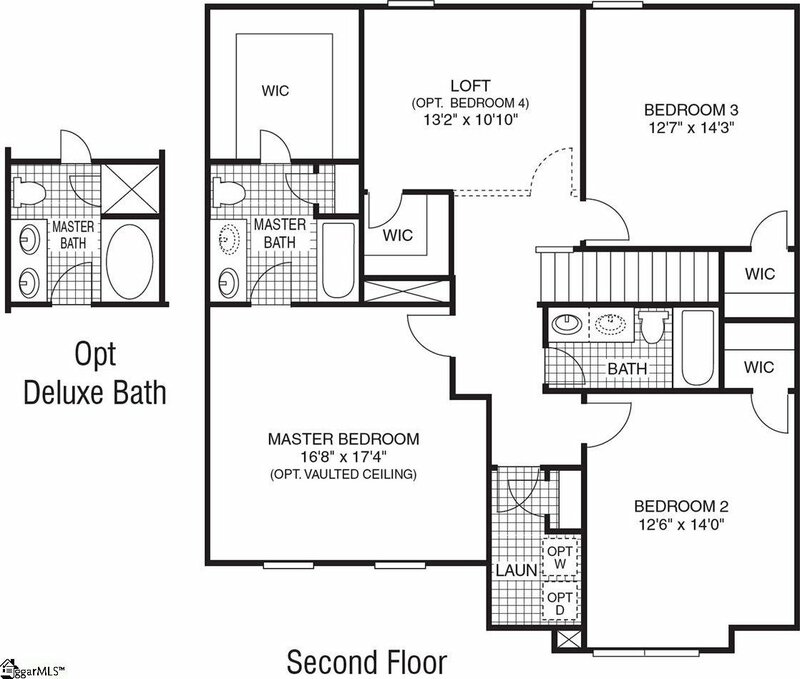 On the second floor you will find a shared bath with dual vanity and a conveniently located laundry room! 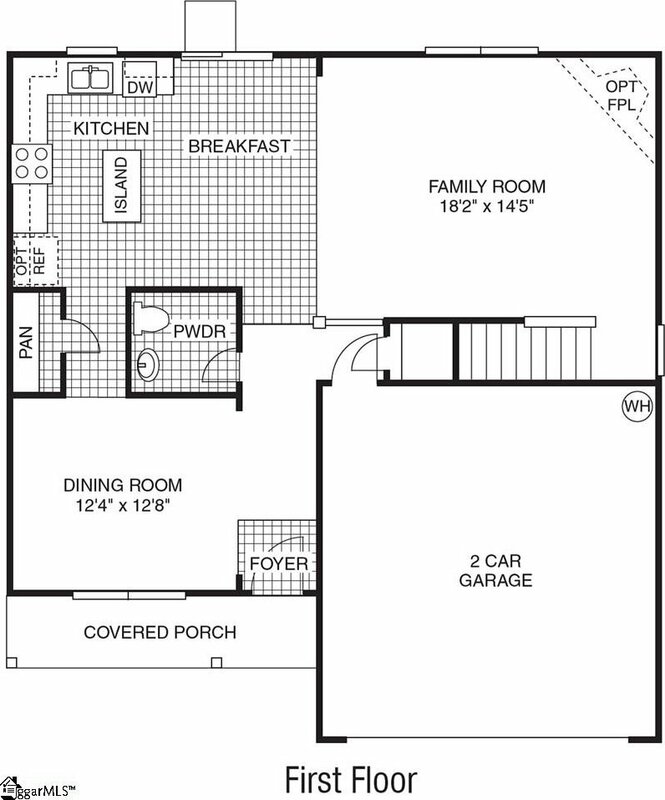 All secondary bedrooms are spacious and feature walk-in closets. The owner's suite is large enough for a sitting area and has a ton of natural light. The deluxe owner's bath features a raised height dual vanity, soaking tub and separate walk-in shower. The owner's suite is completed by a HUGE walk-in closet! This is an incredible value with all the benefits of new home construction with a 10 Year Transferrable Home Warranty. Finance your new home with our preferred lender and we will pay up to 3% your closing costs & pre-paids!